Foodies and those who are just craving for something different will find a variety of Southeast Asian food that are quite easy to prepare. 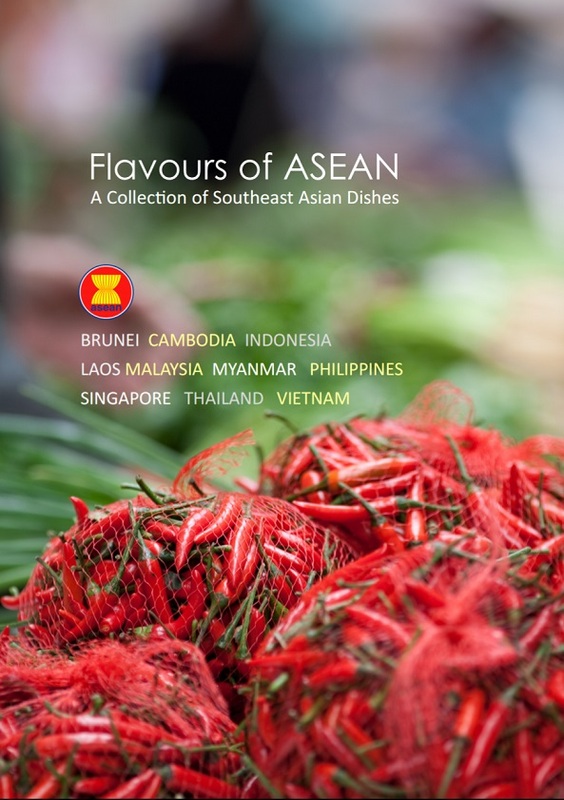 These include rice-based dishes, savory meat and fish dishes, and soups, such as Brunei Darussalam’s rendang, Cambodia’s sam lor machu kreung sach ko (beef sour soup), Indonesia’s sate lilit (grilled fish skewer), Laos’ larb gai, Malaysia’s roti jala (lacey crepe), Myanmar’s mohinga (rice noodle in fish soup), the Philippines’ adobo, Singapore’s chicken rice, Thailand’s massaman curry, and Vietnam’s pho. Dessert-lovers can also make their own turon or sweet banana fritters which are popular in the Philippines, and woun (coconut jelly) from Laos. The book also contains interesting pieces of information regarding the dishes. “Southeast Asian food, especially Thai and Vietnamese, are quite popular in Germany but we still have much more to offer to the German palette. This is not only about eating good food. 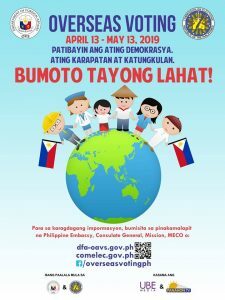 It’s about sharing Southeast Asia’s diverse cultures and ways of life with our German friends through a complete culinary experience,” Philippine Ambassador Melita Sta. Maria-Thomeczek said. The recipe book was a project initiated by the Philippine Embassy in Berlin during its Chairmanship of the Berlin ASEAN Committee. 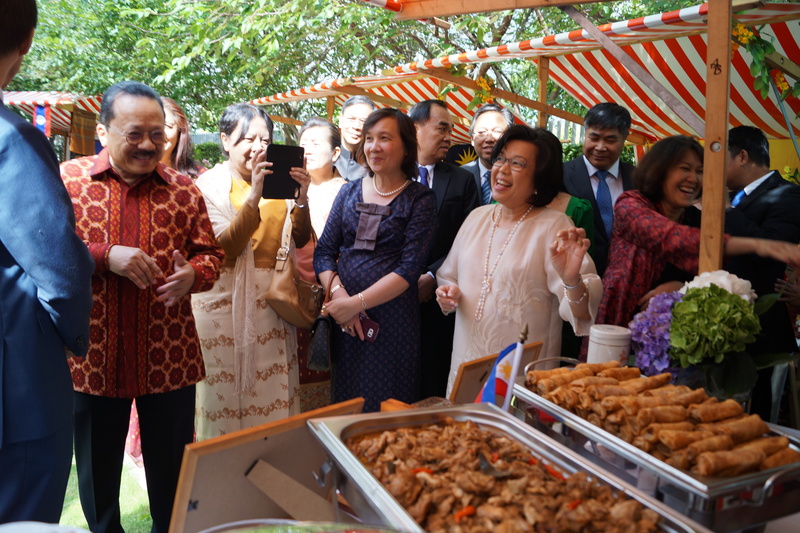 Ambassador Thomeczek presents the Filipino adobo and turon (both which are in the recipe book) being served at the Philippine Embassy stall during ASEAN Anniversary reception last August 8.